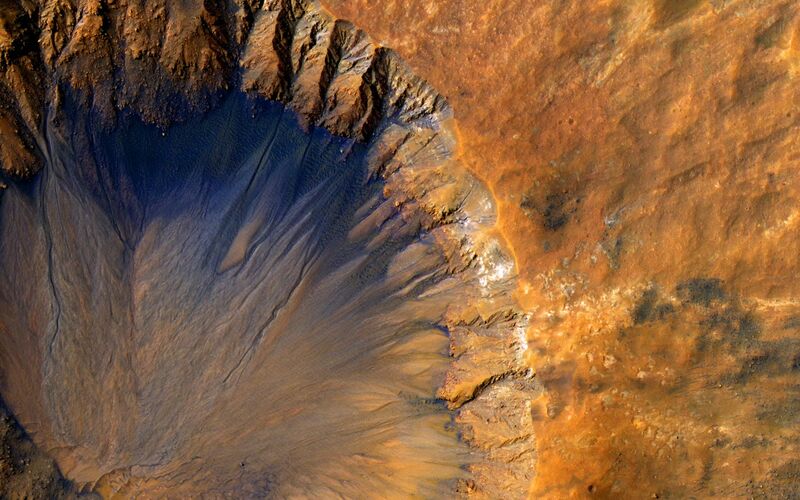 This impact crater appears relatively recent as it has a sharp rim and well-preserved ejecta. The steep inner slopes are carved by gullies and include possible recurring slope lineae on the equator-facing slopes. 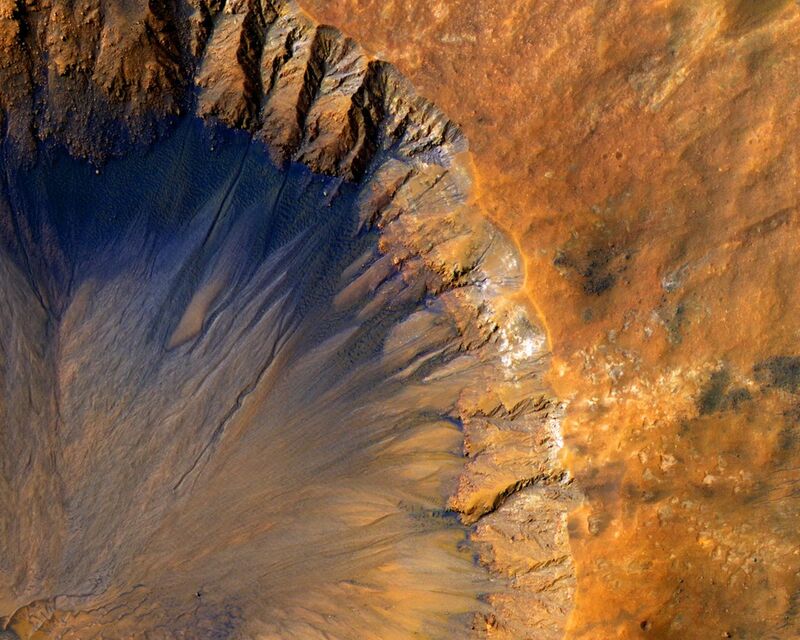 Fresh craters often have steep, active slopes, so we are monitoring this crater for changes over time. The bedrock lithology is also diverse. 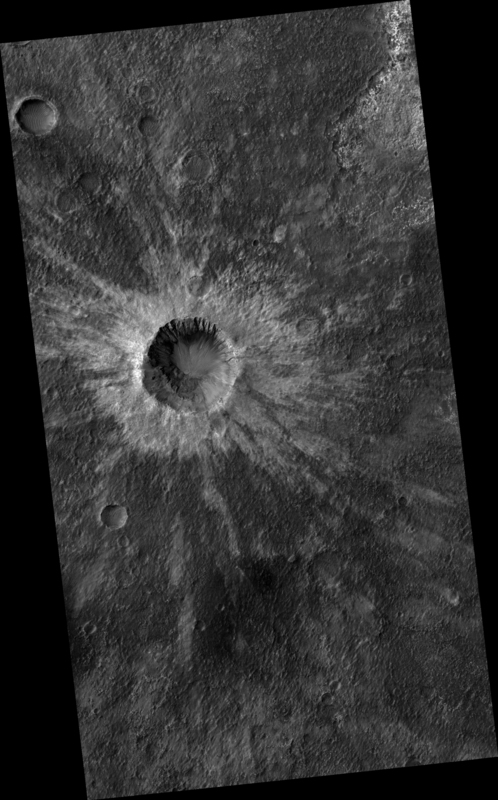 The crater is a little more than 1-kilometer wide. Note: When we say "fresh," we mean on a geological scale. 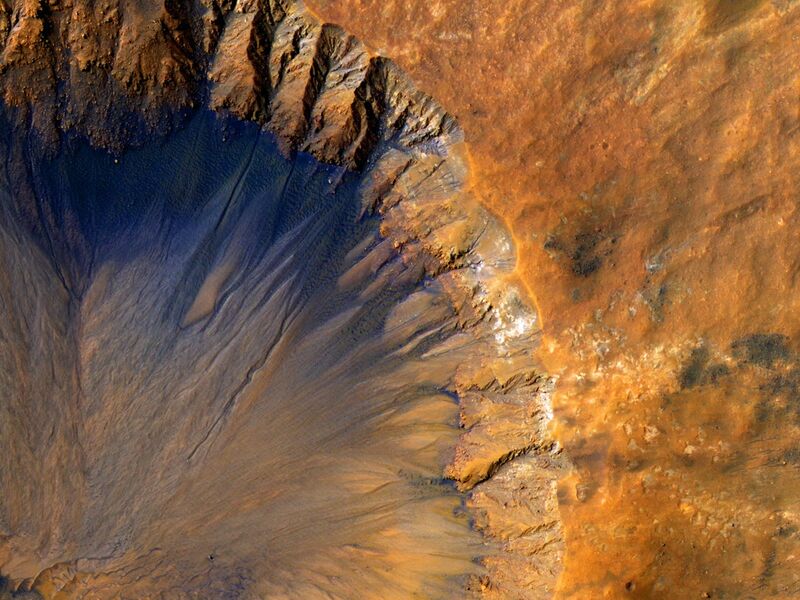 The crater is quite old on a human scale.